^ He remained there making explorations for three years and decided to found a settlement there ( Anderson, Rasmus B. (February 18, 2004) . Hare, John Bruno (ed.). "Norse voyages in the tenth and following centuries". The Norse Discovery of America. Retrieved 2008-08-27. ). ^ Sutherland, Patricia (2000). "Strands of Culture Contact: Dorset-Norse Interactions in the Canadian Eastern Arctic". In Appelt, Martin; Berglund, Joel; Gulløv, Hans Christian (eds.). Identities and Cultural Contacts in the Arctic: Proceedings from a Conference at the Danish National Museum, Copenhagen, November 30 to December 2, 1999. Copenhagen, Denmark: The Danish National Museum & Danish Polar Center. pp. 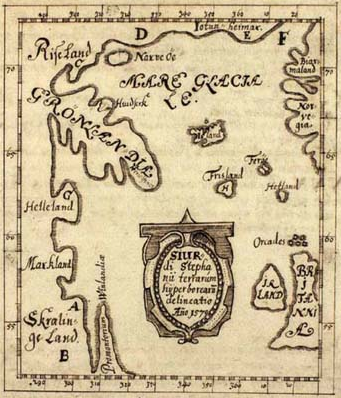 159–169. Retrieved December 19, 2018.